ColourPop has free international shipping for orders over $50 and naturally I needed to go over that amount. There was also discounted prices for some of these items so I really feel like I got worth my money here. 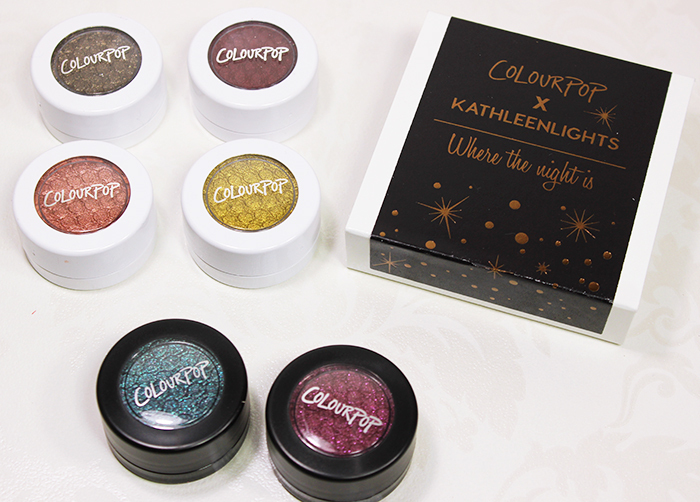 The eyeshadows I got were the ColourPop x Kathleen Lights Where the Night Is foursome plus Patchwork and Babykins from Holiday 2016. The last two are still available as I write this but I think they might be limited edition and are marked as “Low inventory”. 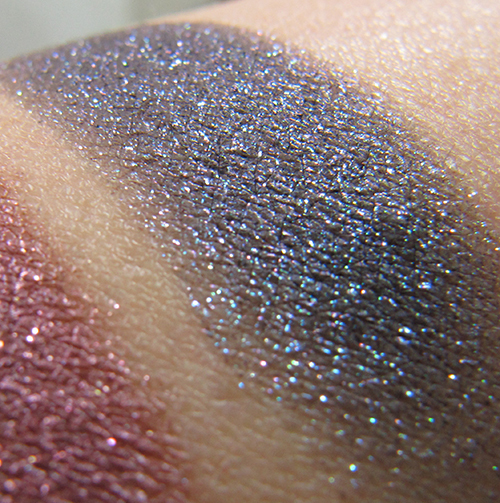 From left to right: Telepathy (Ultra metallic), Midnight (Metallic), Weenie (Pearlized), Porter (Metallic), Babykins (Metallic) and Patchwork (Metallic). 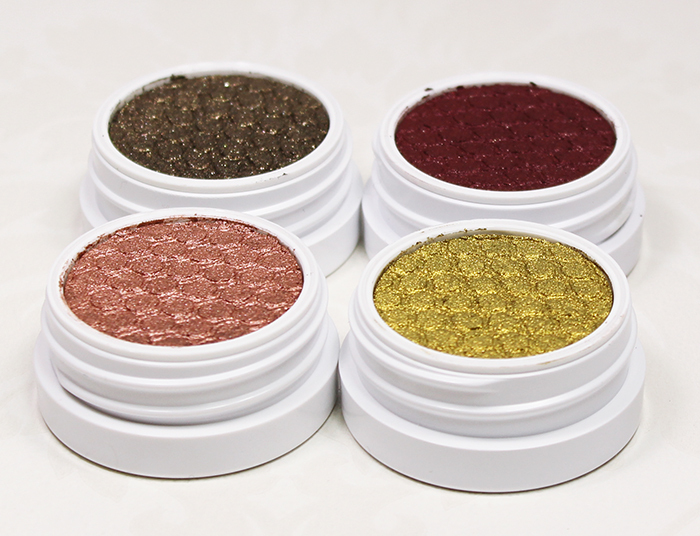 This were all highly pigmented and the usual ColourPop Super Shock Shadow smooth as butter quality. I mean just look at Midnight. Doesn’t it look like it could feel rough and gritty with all that glitter? But no, it’s so smooth! I also took a macro shot of Patchwork cos it has this lovely pink-ish purple glitter on it and it’s just so lovely and shows up nicely on the blurrier part of the photo. Mmmmm … so good! 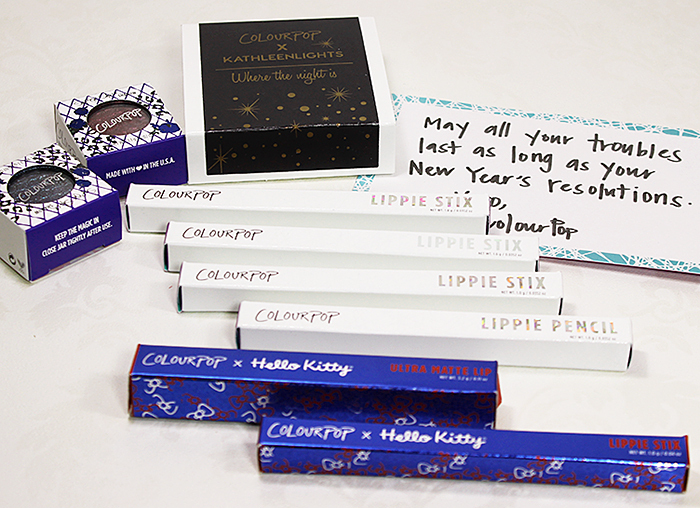 I also ordered four Lippie Stix shades (Pack Pack, Climax, Nevermind and Let’s Play), one Lippie Pencil (Nevermind) and one Ultra Matte Lip (Ribbon). 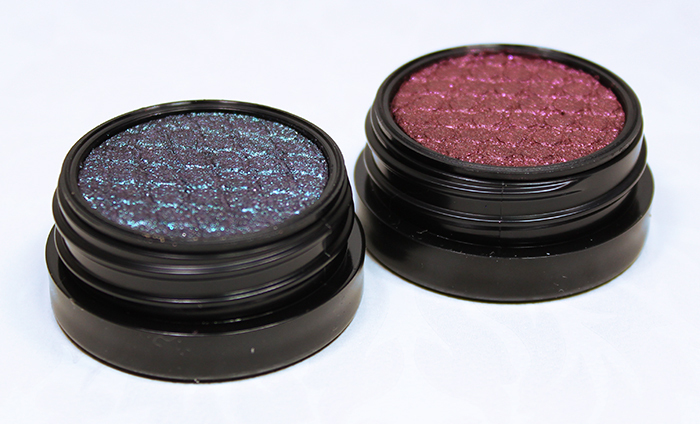 I don’t think I was looking forward to wearing bright and fresh spring shades when I ordered these three below :D Oh well, there’s still time to wear some darker colors before spring is actually here. 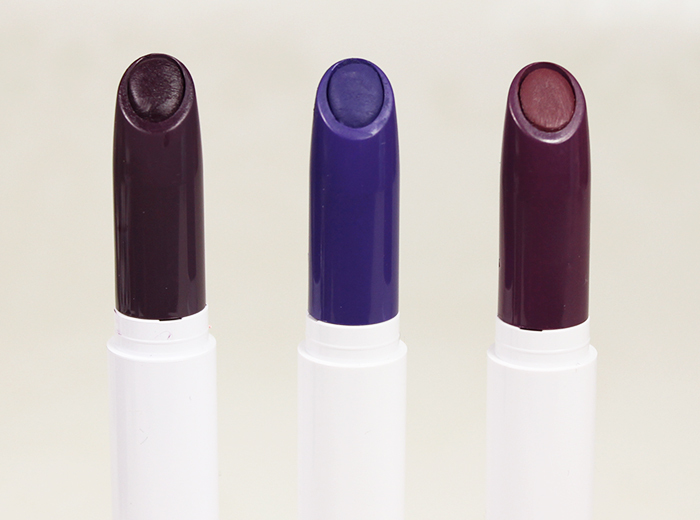 From left to right: Nevermind (Lippie Pencil), Nevermind (matte), Pack Pack (Matte X), Climax (Matte X), Let’s Play (Satin Luxe) and Ribbon (Ultra Matte Lip). You can see the difference between the Matte and Matte X formulas pretty well. These are my first Matte X lippies so I don’t know if they will feel drying. 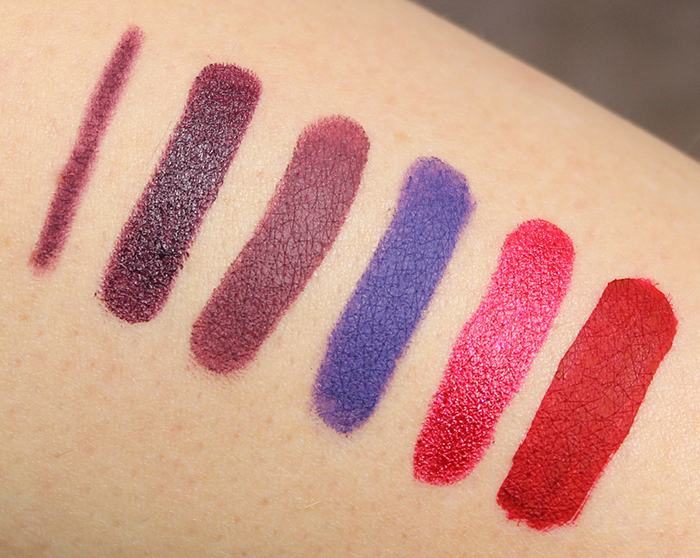 I can wear the normal Matte shades all day long and they are not a least bit drying for me and my lips dry very easily. 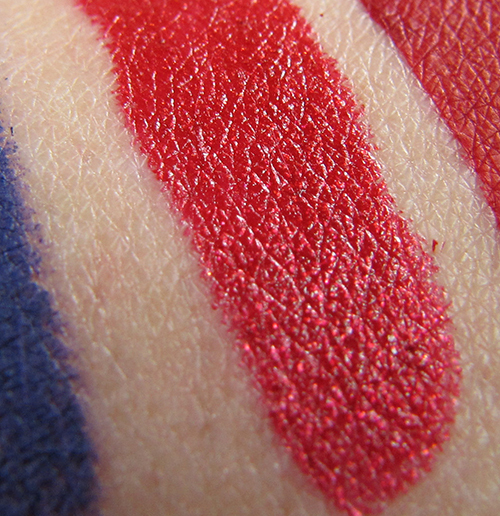 I also took a macro shot of Let’s Play so you can see a little bit of the lovely pink shimmer it has. I love this color! 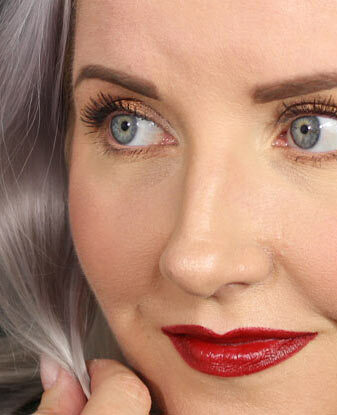 I could wear a bright red lip all day, every day and this shade just jumped on the top 10 of my all time fav reds. Very pretty! 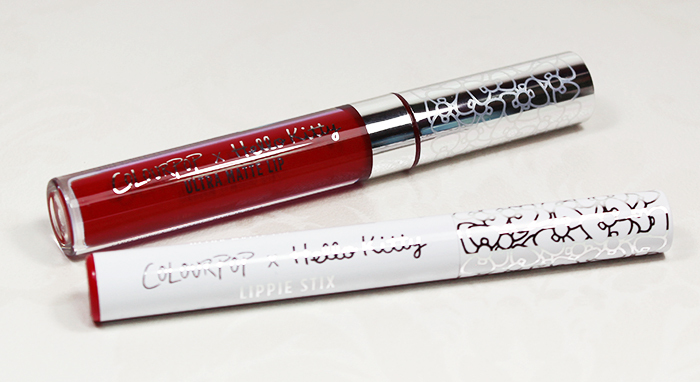 Both Let’s Play and Ribbon are from ColourPop x Hello Kitty collection. All of these are gorgeous! I have yet to try anything from ColourPop. I love that Kathleen Lights Where the Night is quad. I haven’t tried any of their super shock shadows yet tho. 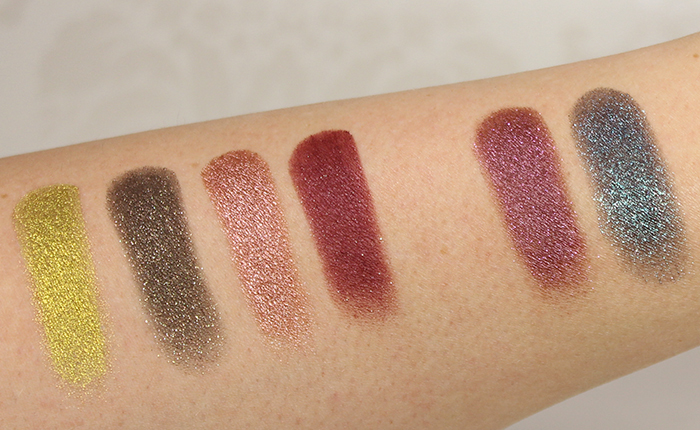 I need to try Colourpop so bad. Look at those shadows!